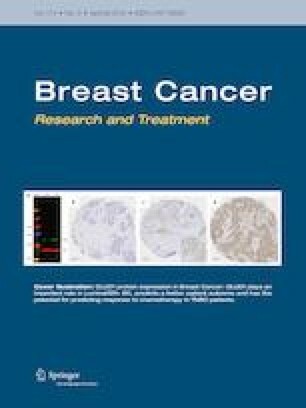 Lapatinib (L) is approved in combination with capecitabine or letrozole for patients with trastuzumab-resistant HER2-positive metastatic breast cancer (MBC). However, there is no efficacy data of L in patients who received prior pertuzumab (P) and ado-trastuzumab emtansine (T-DM1), now included as standard first- and second-line therapies, respectively. The goal of this study was to assess the efficacy of L in a contemporary patient population that received prior P and/or T-DM1. We identified patients with HER2-positive MBC who received L (n = 520) between 2003 and 2017 at MD Anderson Cancer Center and selected a target cohort who received L after prior P or T-DM1 (n = 43) with the remaining included in the comparison cohort (n = 477). We evaluated outcome measures including clinical benefit rate (CBR), best tumor response (BTR), duration on L, and time to progression (TTP). Survival analyses used Kaplan–Meier statistics. CBR was 28% (95% CI 10–32) for the target cohort and 40% (95% CI 36–45) for the comparison cohort. The median duration on L was 5 months (95% CI 3.0–9.0) in the target cohort and 6.7 months (5.9–8.0) in the comparison cohort. In both cohorts, the median time to progression (TTP) and overall survival (OS) were longer in patients with de novo metastatic disease compared to patients with disease recurrence. L-based therapy is an active therapeutic option and remains a viable option for HER2 + MBC after prior trastuzumab, P and/or T-DM1. Part of these data were presented at the 39th Annual San Antonio Breast Cancer Symposium (SABCS) December 6–10, 2016 (Abstract P4-21-20). Design/conception: LB, VV, RM. Data collection: LB, AR. Statistical analysis: KH. Data interpretation: All authors. Manuscript writing: All authors. The database used for this work is supported by the Breast Medical Oncology departmental funds at MD Anderson Cancer Center. KR Hess was supported by the NIH/NCI under award number P30CA016672 and used the Biostatistics Resource Group shared resource. Luiz Baez-Vallecillo, Akshara S. Raghavendra, Kenneth R. Hess, Carlos H. Barcenas, and Vicente Valero report no conflict of interest relevant to this work. Stacy L. Moulder serves or has served as a consultant for Novartis, Oncothyreon, Pfizer, and Immunogenics. Debu Tripathy serves as a consultant for Novartis and Pfizer, and also receives funding from Novartis. Rashmi K. Murthy receives research funding from Cascadian therapeutics, Daiichi Sankyo, Gnentech, and Pfizer (all in research support paid to the institution). This study was approved by the institutional review board at MD Anderson Cancer Center, and waivers for obtaining informed consent were granted.